well compilated sampler of artists featured by that webradio. 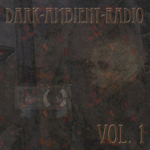 the music is deep and warm, has everything that dark ambient stands for and could by a single soundtrack for a sinister dream in lonely rooms at nighttime. recommended!